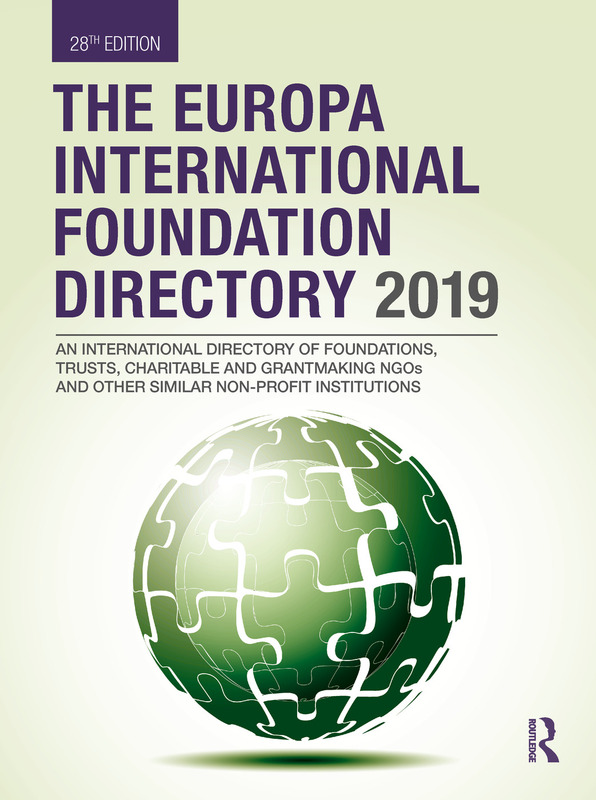 Now in its 28th edition, the Europa International Foundation Directory 2019 provides an unparalleled guide to the foundations, trusts, charitable and grantmaking NGOs, and other similar not-for-profit organizations of the world. It provides a comprehensive picture of third sector activity on a global scale. Users will find names and contact details for over 2,690 institutions worldwide. This new edition has been revised and expanded to include the most comprehensive and up-to-date information on this growing sector. Indexes allow the reader to find organizations by area of activity (including conservation and the environment, science and technology, education and social welfare) and geographical region of operations (e.g. South America, Central America and the Caribbean, Australasia, Western Europe and North America). A full index of organizations, and indexes by main activity and by geographical area of activity.